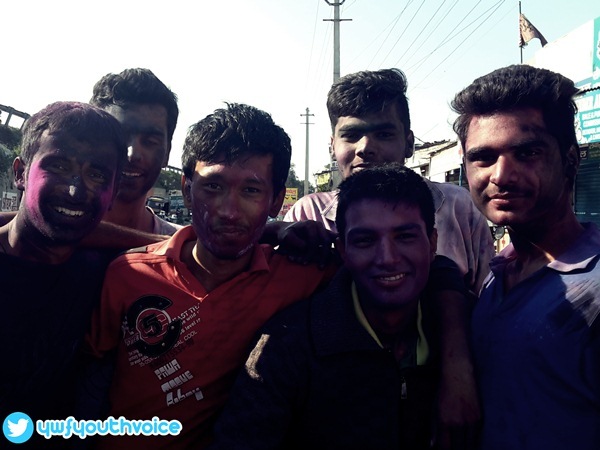 You love playing Holi, but what you don't love, is trying to get those stubborn colors out of your hair and skin. Here I will share some tips to keep the color out of your skin and hair this Holi. They say that prevention is better than cure, and they say it right. With increase in use of synthetic colors on holi, we all have to face damage to our hairs, skin & eyes. We should avoid synthetic colors as much as possible, click here to know why. You should buy natural/herbal colors only or you can make your own colors at home. Even if you use natural colors, there is no way you can make sure you are immune to synthetic colors, you can't even ask your friends to keep their synthetic colors away as they say "Bura Na Mano, Holi Hai", they will attack you anyway lol. So better prepare yourself! 1. Oil your hair and body before you play Holi, especially if you are playing with colors. The oil will protect your hair and the color will wash off easily. 2. Paint your nails with a dark shade to keep them safe from Holi colors. 3. If you get synthetic holi color on your face, use cold water to wash it off immediately. This will prevent it from staining your face. 4. If you are playing with dry colors, apply foundation to your skin to keep it safe from damage of any kind. 5. One of the best ways to avoid excess color on your body is by wearing full jeans along with a cotton full sleeves shirt, t-shirt or top. Also read 5 Tips To Remove Strong Permanent Holi Colours.